Participate in the Tinker Fest creativity competition by sending details of your arts, crafts and science projects/models. Only for students from 5-18 years of age. You can apply as a team (maximum 5 students) or individually. Apply by submitting pictures or videos and details of what you have made at this link or on Whatsapp to 8335075374. While submitting choose one of the 14 categories listed below, that is most suitable for what you have made. The Top 5 projects in each category shall win attractive prizes and a chance to exhibit at the Tinker Fest at Birla Industrial and Technological Museum (BITM), Kolkata on December 15 & 16, 2017. How can students participate in Tinker Fest competition? Submit your projects at this link or on Whatsapp to 8335075374. You will be required to submit photo/videos, project description, your contact information etc. Each category has its own rules, apart from the general rules, so make sure to read them before submitting your project. Best projects in each category will be shortlisted and called for judging. 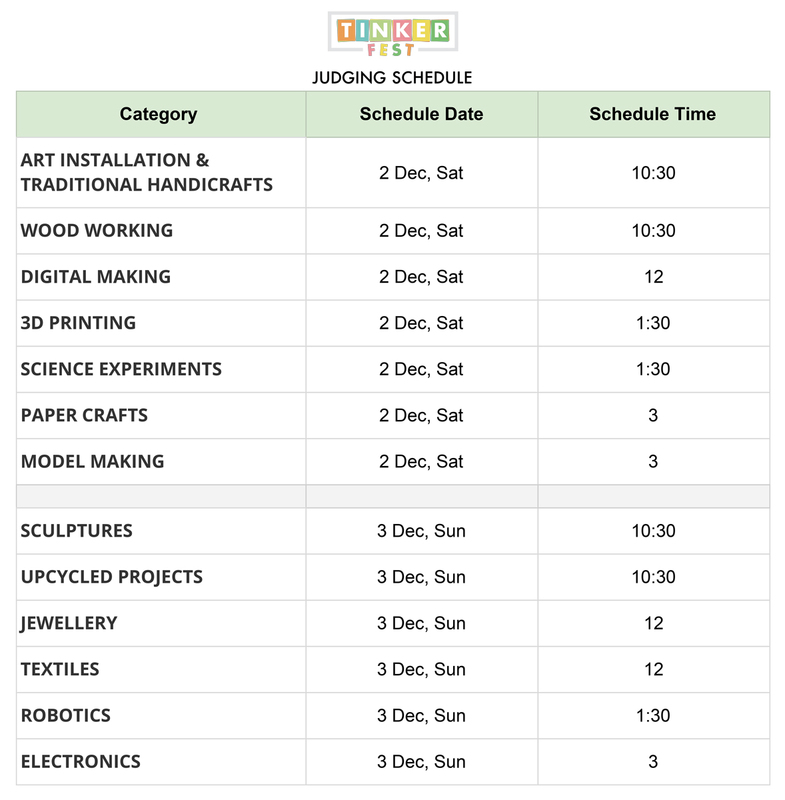 Judges will decide on Top 5 projects which will get a chance to be showcased at Tinker Fest and win prizes. Please read all the category rules and criteria before project submission. NEW The “Diversity in Creativity” Award is to recognize schools that encourage creativity in children in diverse forms, whether it is art & crafts or science projects or knitting or wood working. The award will be give to the school with most number of winning entries across the 14 categories below at the Tinker Fest competition.